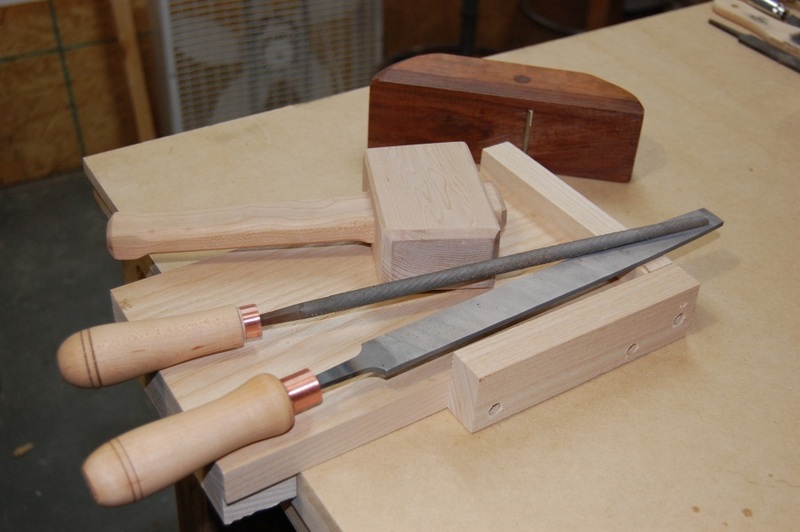 Today was a day for making tools. I was in need of file handles and I hate paying five dollars for one when I have a full scrap box in the shop. Making the handles got me fired up so I also made a maple and cherry mallet, and a shooting board. The hand plane behind the shooting board is one I made while reading of all the James Krenov books. This entry was posted on February 28, 2010 at 8:27 pm and is filed under Tool Making. You can follow any responses to this entry through the RSS 2.0 feed. You can leave a response, or trackback from your own site.